Got a bike? Tote your tyke! Tyke Toter brand front-mount child bike seat is the most interactive experience for you and your young child (age 2-5) to enjoy a bike ride together. 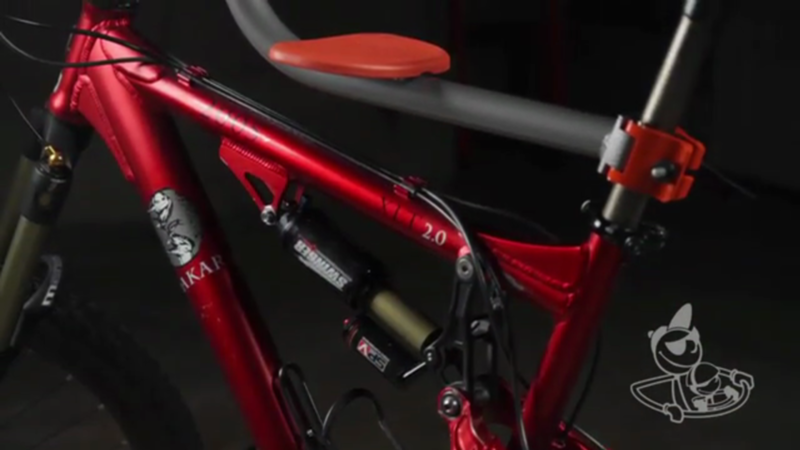 Easy to mount onto your bike with a quick-release mechanism that clips right on to any standard seat post (< 32mm. diameter), no hardware to attach it to your bike, no tools required, on or off in less than 30 seconds! Small, lightweight, sturdy, easy to pack around on vacations or camping trips, and front-mount positioning for easier bike handling. Best of all, your child will LOVE riding Tyke Toter kid's bike seat. Invented by a dad for his own kids. Recommended ages 2-5 and up to 45 lbs. Proudly made in the U.S.A Patent Pending.